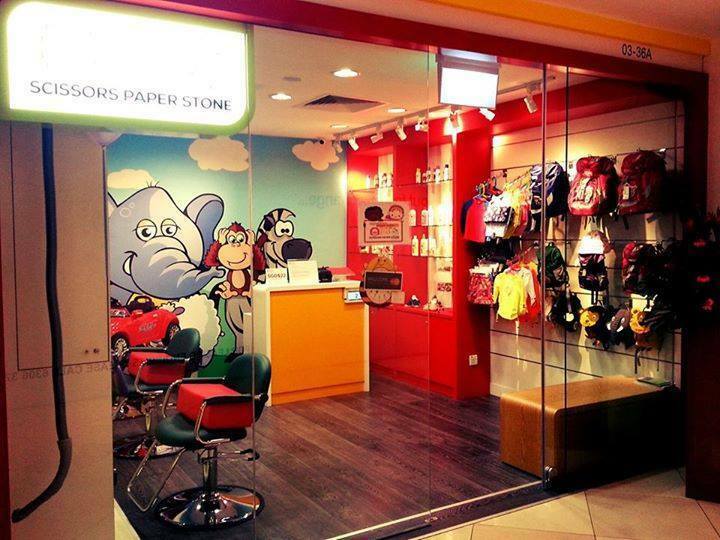 Scissors Paper Stone is a kids hair salon that makes the most out of every child's haircut. Scissors Paper Stone is a kids hair salon that makes the most out of every child's haircut - cos' kids deserve fun! We run on a queue number basis that provides children with entertainment like iPad games and movies so their haircut will be a pleasant experience. ScissorsPaperStone kid’s hair Salon combines grooming (Scissors), education & enrichment (Paper) and sports & fitness (Stone) services for kids into a one-stop shop. We are best in baby haircut Singapore. It’s a Fun and safe kid’s hair salon where you will get a wide range of haircut styles and haircut services for your kids. We are a team of professionals who specialize in kids-oriented businesses and services, catering to children’s needs such as child haircut with much expertise and experience. Our focus is entirely on ensuring that kids get the most out of the activities we provide them,‘cos kids deserve fun!